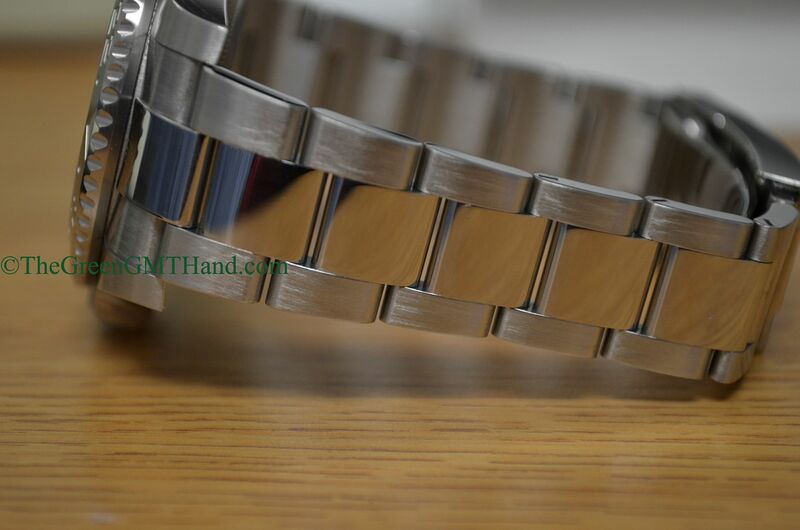 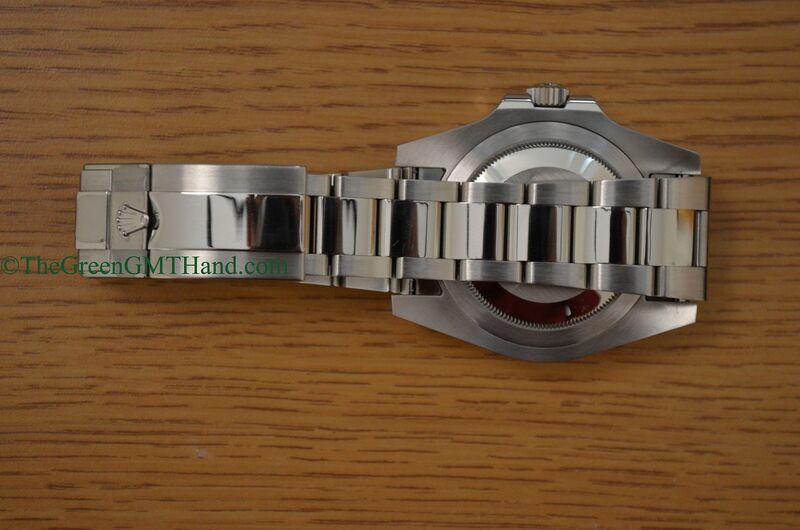 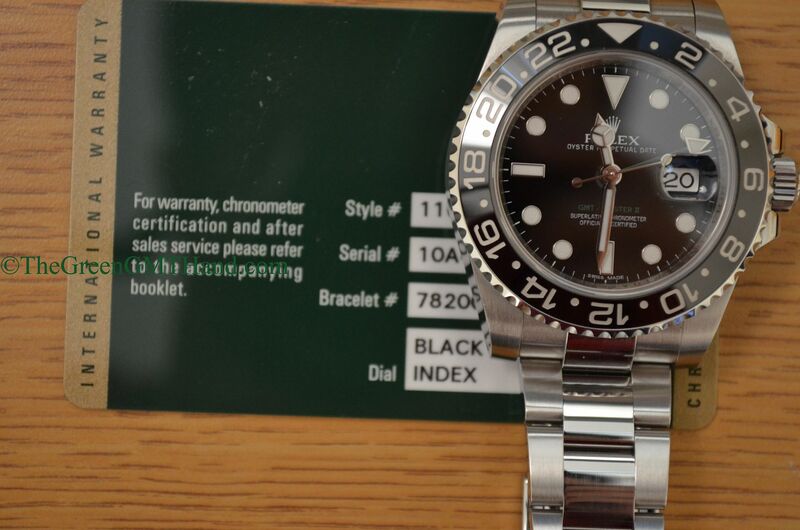 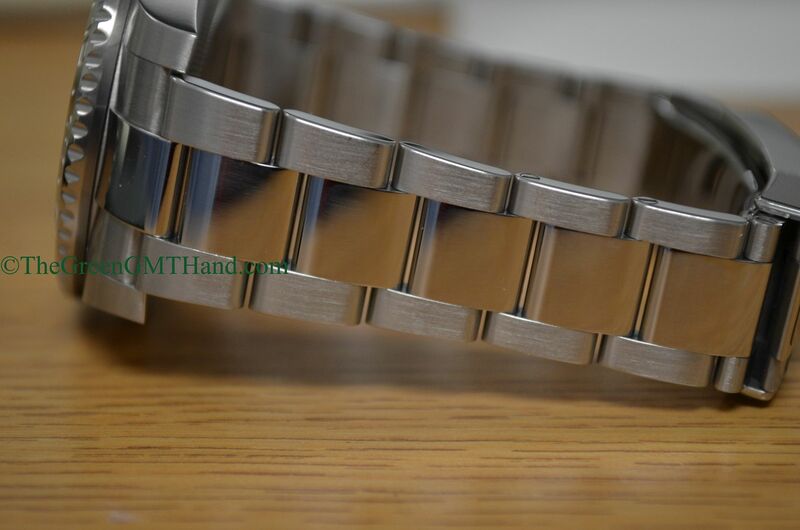 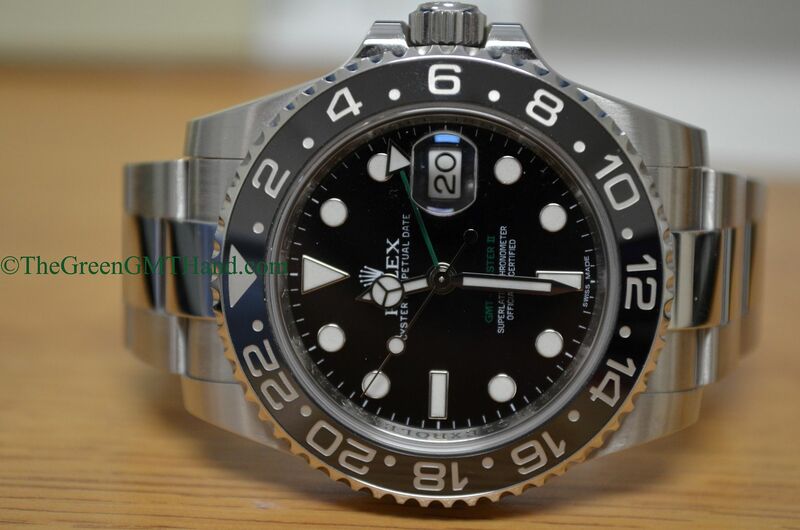 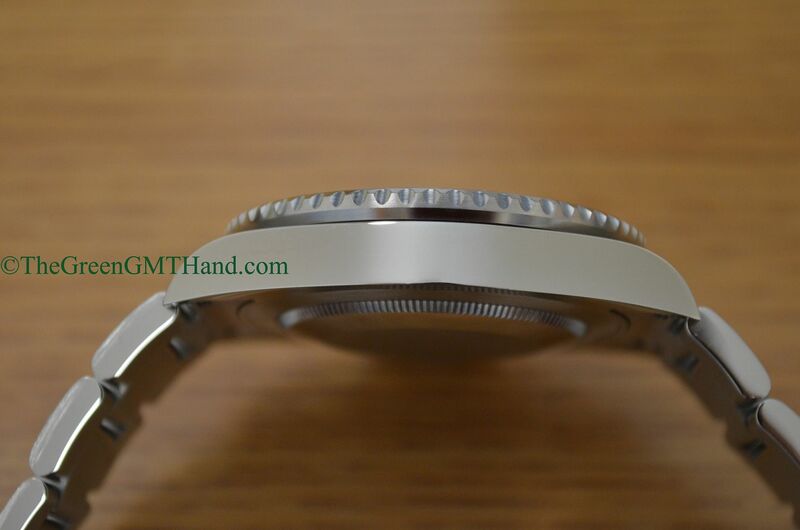 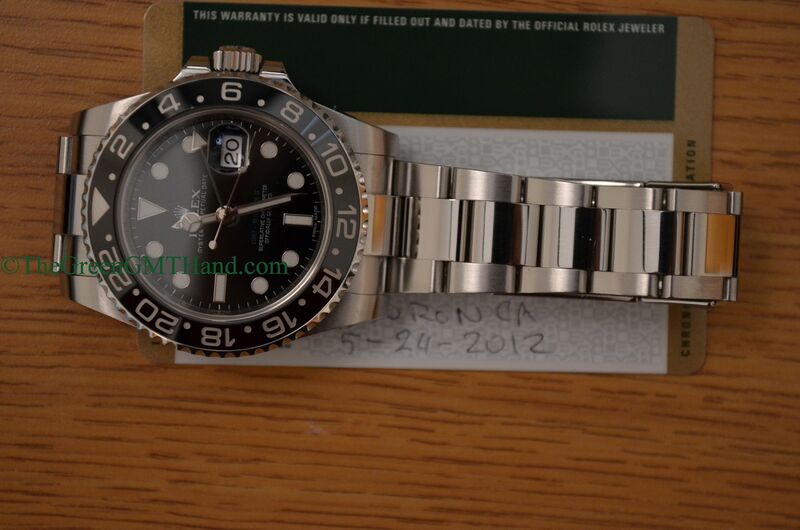 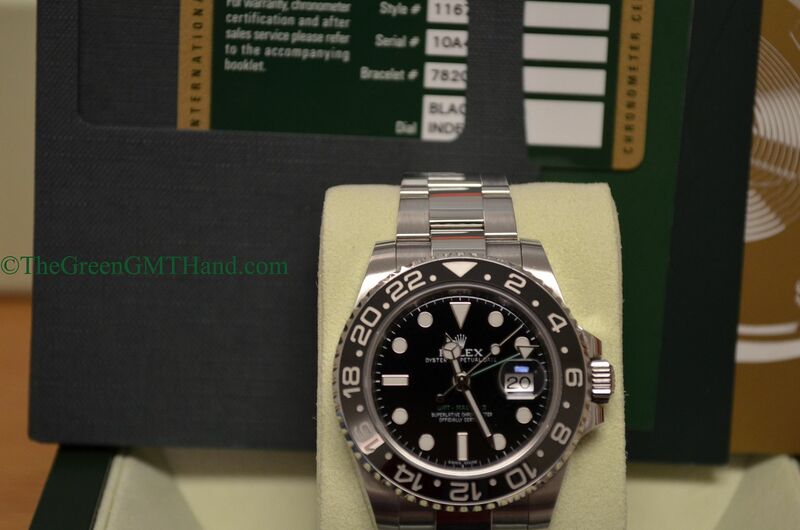 Another random serial number Rolex 116710 ceramic GMT Master II. 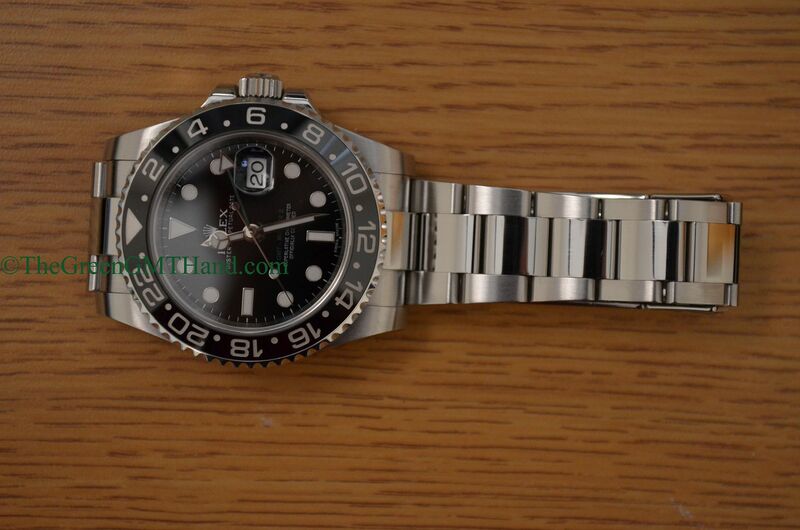 Featuring the beautiful platinum blasted ceramic bezel, which is bidirectional, this 116710 came in only 1 bezel color: black. 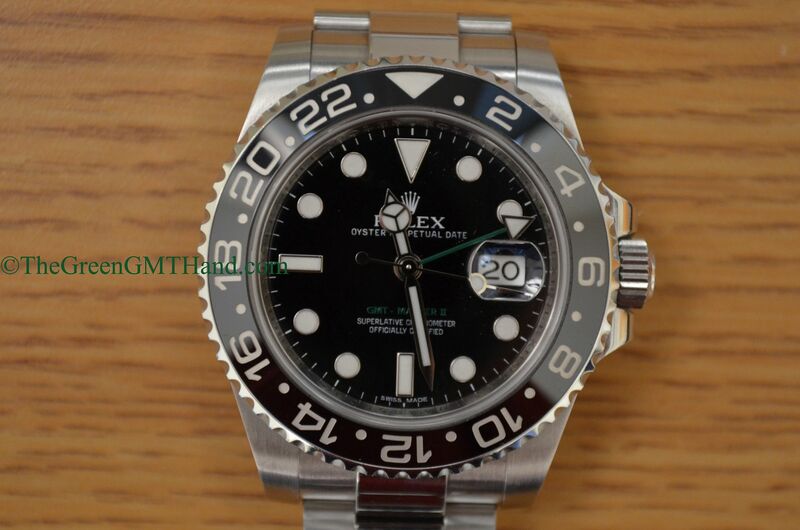 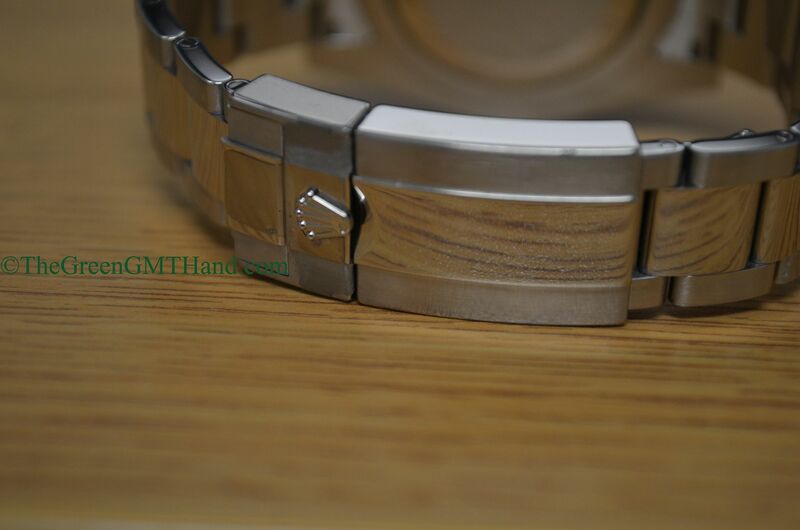 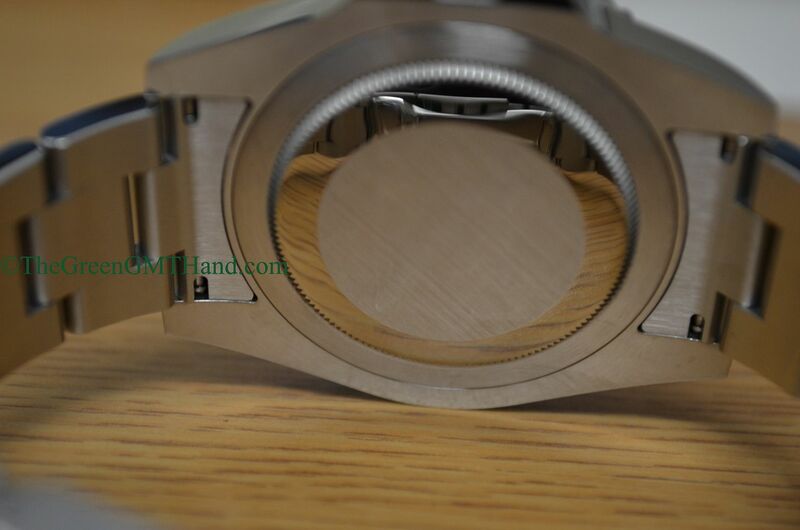 Then in 2013 at Baselworld, Rolex introduced the new blue and black ceramic GMT Master II 116710BLNR, called by some Rolex collectors “The Batman.” This model has green luminova on its maxi dial and maxi hands, and that feature was also changed in 2013 at Baselworld as Rolex now uses blue chromalight on all of their ceramic GMT Master II’s. 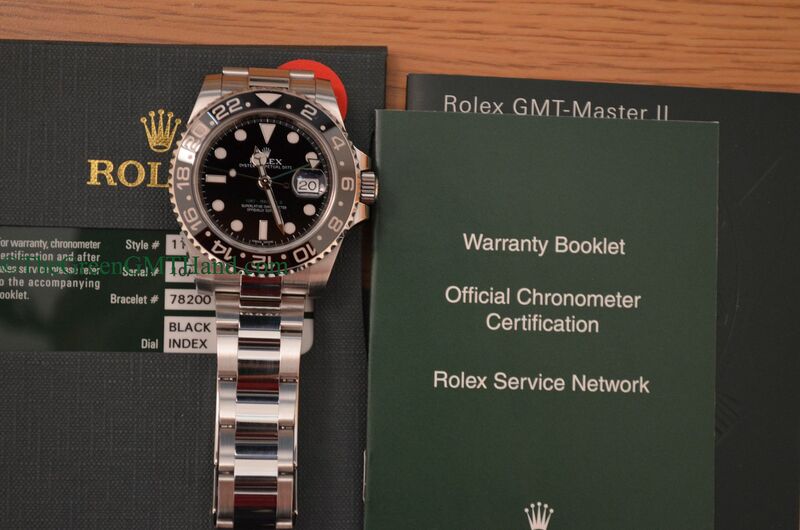 SOLD and delivered to our buyer as a complete set with Rolex boxes, warranty card, manuals, and hang tag.